Founded in 2012, and based in Brisbane, Queensland, PlantMiner is a trusted marketplace for people to list, find and hire equipment and subcontractors around Australia - on any device, anywhere, anytime. The mining and construction industry has entrenched habits. There's a reluctance to change, especially when it comes to procurement habits. For many years, this meant that contractors and builders played a waiting game to find the plant, equipment and subcontractors they needed for a project. There was the yellow pages, cold calling companies, blind google searchers and waiting, waiting, waiting. For Michael Trusler and Mike Davis, their combined experiences as a civil engineer and tech solutionist, the opportunity cost of delays in procurement was enough to get them thinking of a new business idea. What if - instead of trawling through many different avenues to find equipment or subcontractors, and waiting for someone to call or email you back - you went to one place that directly connects you with local companies who have what you need. PlantMiner, the construction marketplace launched in 2013, promises just that. Our mission is to simplify procurement for all Australians. At PlantMiner, everything we do from product development to marketing aims to empower our users and give them greater confidence when it comes to comparing quotes and hiring the right business for the job. 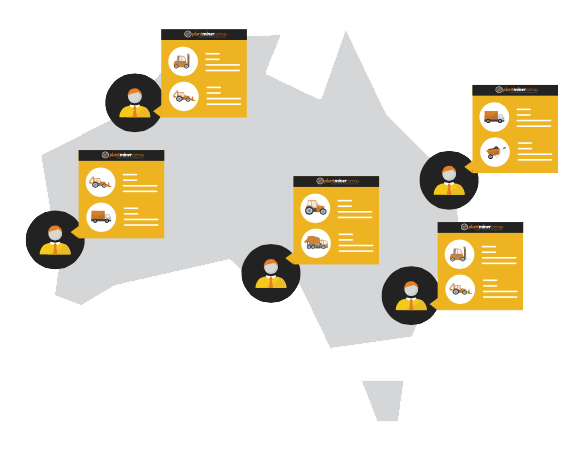 Whether an excavator for a week, or a concretor for a month, PlantMiner connects people to expert vendors, that match based on project requirements and location, in hundreds of regions of Australia. From coast to coast, and everything in between (Adelaide, Melbourne, Sydney, Woolongong, Brisbane and Townsville just to name a few) PlantMiner is the easiest way for people to get quotes for commercial projects and hire the right business for the job.